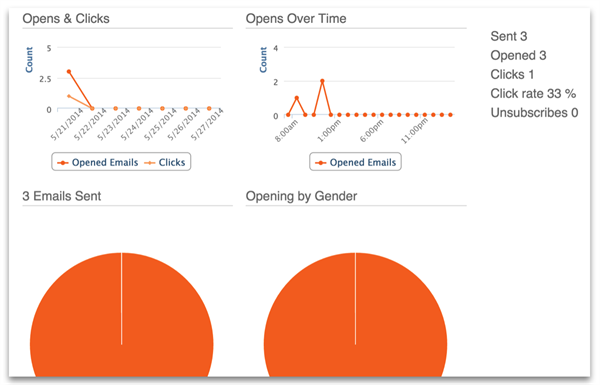 Know when someone opens and clicks your emails. Gain a better understanding of how well your emails are being received with direct tracking insights, in real-time. These unique insights help you target and strengthen your outreach and email strategy. Click on the 'Emails' tab (in the manage toolbar). The 'Opens' stats tell you how many people opened your newsletter. If your email includes links, you can also see how many clicked on them. For more details, click on the 'Details' button where you can see who opened your email, how many times and which specific links they clicked.